TSHA hosts a Silent Dinner every month at Woodland Hills Mall. This is a great chance for those just learning sign language to practice communication in a nonthreatening environment. 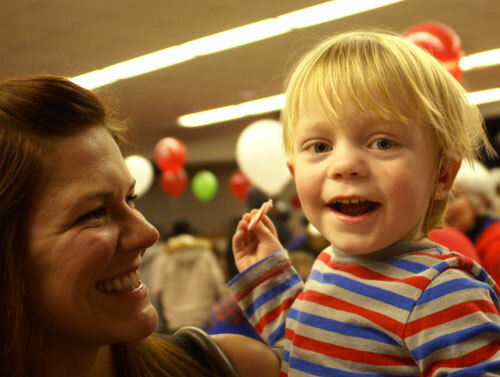 The Children’s Holiday Party takes place the first Saturday of every December. Deaf and hard of hearing children’s faces beam with joy at the opportunity to talk with Santa directly. This fully accessible event allows children to play games and see their friends. Every child leaves with a Christmas stocking full of toys! Where Hands and Feet Meet is TSHA's "active" social fundraiser. This event offers both a 5K and 1 Mile Fun Run for everyone of all ages to enjoy. This event will be held at Mohawk Park on April 22, 2017. Come out and enjoy getting your heart rate up while helping support TSHA's mission.